The name WG Security Products inc. has long been synonymous with innovation in the EAS technology field, but here's something you may not know; WG is also a premier seller of video surveillance equipment. Just a little fact there for you. And speaking of little, here's one of the premier video products available now from WG. The 8-inch Public View Monitor packs a large punch in its small package. On display at the recent Mid-States and Worldwide shows this month, this PVM can be installed virtually anywhere in your establishment. It serves as both a visual deterrent to shoplifting or an additional camera connection through your DVR. Because of its unique size, the 8-inch PVM can be installed in any potential high theft area, including cash wraps, display stanchions, and aisle ends, without disrupting the decor of your retail environment. It can be set up for motion detection, only recording when people are in the area. It comes with a built-in SD card player, allowing you to display any static image of full motion animation you wish on its screen when it is not recording. 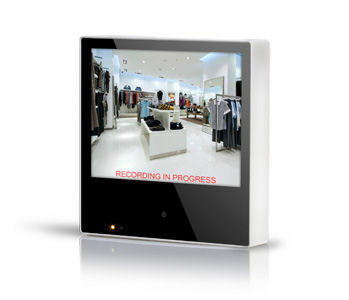 This PVM, along with many other video solutions, are available from WG. Contact us to learn more about a complete video system for you.